This was fabulous. 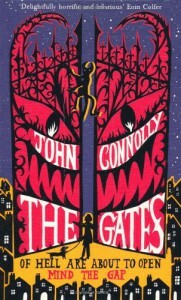 It's a middle grade level hitchhiker's guide crossed with Terry Pratchett footnotes crossed with the demons of Hell crossed with particle physics and the LHC at CERN. Absolutely brilliant.